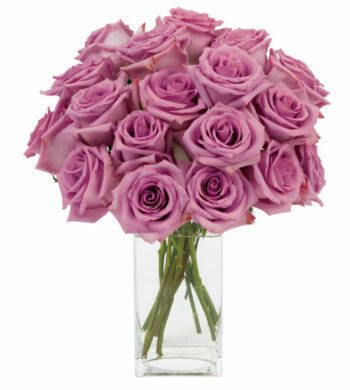 We are currently out of the Lavender Love Bouquet, may we suggest our Parisian Roses as an alternative purchase. 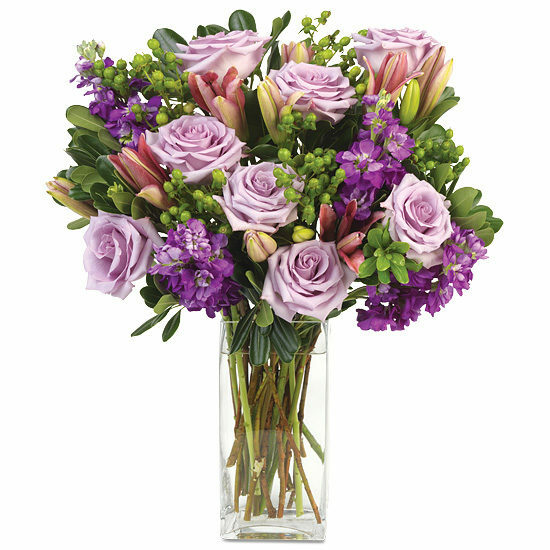 Send special thoughts or much love someone’s way, this bouquet is a gala of lavender favorites. 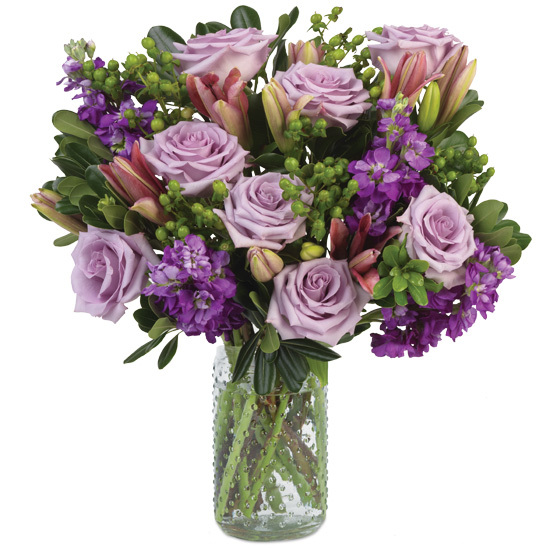 Situated inside our clear, hobnail glass vase, impressive lilies, fragrant stock and picture-perfect lavender roses give this bouquet its pretty purple look. Hypericum berries and pittosporum complement the scene with glossy green. Remove all foliage that will fall below the water line. Remove the “guard petal” from each rose – this is the outermost petal left on to protect the bud during shipment. You may also remove any petals that may have slightly bruised during shipping. As the lilies begin to open, you may gently pull off the pollen anthers to avoid pollen dust staining. Be careful not to get lily pollen on your clothing or linens. You may wish to place a protective mat under your bouquet to prevent pollen from falling on your furniture or carpet if you do not remove the anthers. We recommend cutting rose stems underwater for best blooming results. Re-cut stems and change water every 2 to 3 days.